Today is the day I left the UK for a few years. I hate goodbyes. Missing people is one of the worst parts about travelling. Before too long, I was £8 lighter and on my way to the adventure of a lifetime. I got swept up in the usual hordes of miserable folks on the underground, but it was fresh faced excitement for me. 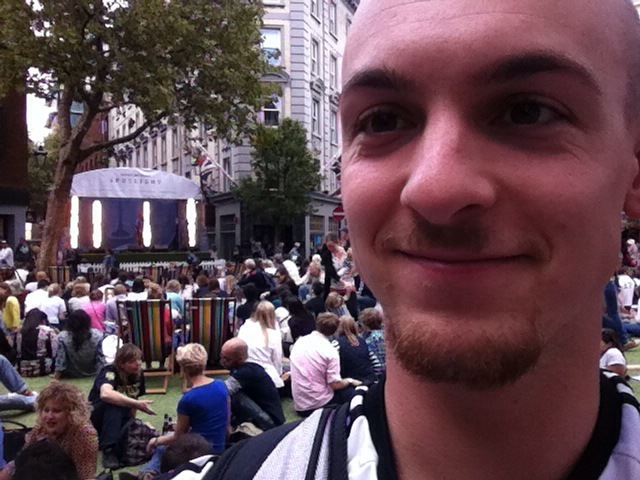 I nipped up around Leicester Square area and stumbled upon the ‘7 dials’ festival. It was good to see so many attendees, and I stayed to watch Ian Stone, a comedian I like. There was another famous guy hosting, but I’ve no clue who he is.